Possibly the most anticipated NFL game of the season, at least in my neck of the woods, is tonight’s Chiefs vs. Broncos game! My husband and I had the unique opportunity to tour Arrowhead Stadium last week. Ironically, the tours are a lot more popular this year than in years past. 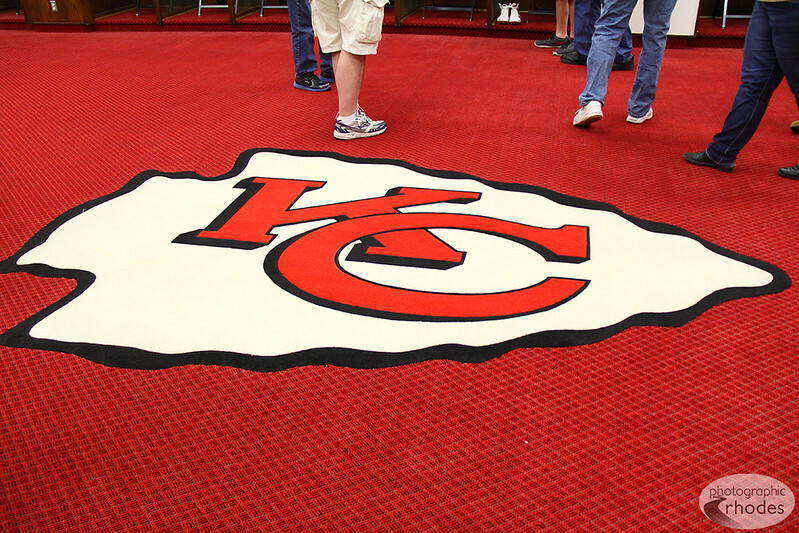 🙂 Did you know the Arrowhead logo on the locker room floor has been there since the 70s, and it’s bad luck to step on it? As you can see, it’s still perfectly white.